The periodic maintenance of your garage door and opener will make them last a lot longer. Manufacturers make sure of this because they know that their products are going to be used constantly for many years after purchase. These products are still however subject to the wear and tear that accumulates after many years of use. The wear and tear may seem very minor at first but a small nick can become a crack, a small dent can undermine an entire structure's stability and a worn out part can disrupt function. These are some of the realities related to damage that you need to avoid. Whatever you do at home, you should always have safety in mind. This is especially true when you're tinkering with something that can weigh upwards of 400 pounds. Even the lighter doors need to be handled with care since they can still weigh as heavy as 100 pounds. Because of such a heavy load hanging over your head, performing a safety check becomes a necessity. Call our company today so we can perform the needed checks and provide you with a detailed report of safety in your garage so you can act accordingly. Whenever some part of the garage setup gets broken, safety and aesthetics get compromised. By calling our company, we'll perform the necessary repairs for your door and opener to once again run smoothly and safely. Door tracks and rollers often get worn and because of this, opening or closing functions become less than optimal. If you notice similar signs with your garage setup, call us and we'll provide the repairs you require. Much like repairs, replacement of parts is done for the purposes of regaining proper function of your door and opener setup. There are many parts that break beyond repair. Some of the more common parts that get worn out and break are the torsion springs. These springs bear all of the weight of the door and when they reach a certain maximum number of cycles, likelihood of them breaking increases. When they do, operating the door becomes extremely difficult. That's why our company aims to repair or replace any part that prevents proper functioning of your door or opener. 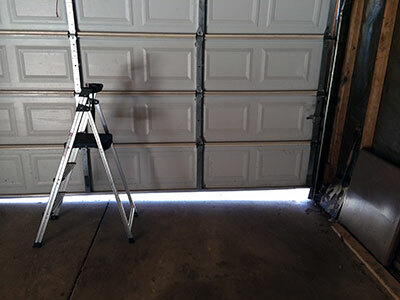 Call us today for our garage door maintenance services.